Patients with total calcium levels above 14 to 16 mg/dL are usually very weak, lethargic, and confused. Coma is uncommon, but calcium levels should probably be determined in any patient with coma of unknown etiology. Polyuria, in spite of polydipsia, tends to cause increasing volume depletion. Weariness and weakness are common with hypercalcemia. Polyuria and polydipsia are due to impaired renal tubular reabsorption of water. Total calcium levels above 15.0 mg/dL may cause somnolence, stupor, and even coma. Hypercalcemia should be suspected in patients with extensive metastatic bone disease, particularly if the primary site involves the breast, lungs, or kidneys, and in individuals with combinations of clinical problems such as renal calculi, pancreatitis, or ulcer disease. As with hypocalcemia, ionized calcium levels should be measured and/or total calcium levels should be correlated with serum proteins. If a patient is hypoproteinemic, total calcium levels may be normal or low in spite of increased ionized calcium levels. On ECG, hypercalcemia may be associated with depressed ST segments, widened T waves, and shortened ST segments and QT intervals. 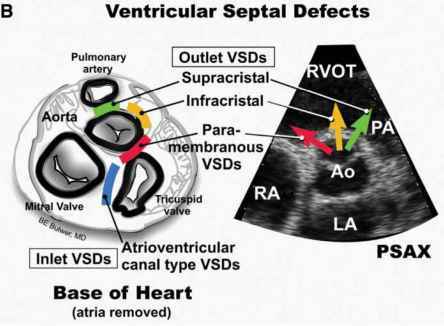 Bradyarrhythmias may occur, and bundle branch patterns may progress to second-degree block and then complete heart block. Levels above 20 mg/dL may cause cardiac arrest. TREATMENT Up to one-third of patients with hypercalcemia have hypokalemia, and in those with malignant disease, more than half the patients may have hypokalemia. Some patients also have hypomagnesemia. The tendency toward hypokalemia and hypomagnesemia will be aggravated by diuresis and should be monitored carefully. A number of modalities are available to treat hypercalcemia (Xakleii2.3.-.1...i5). 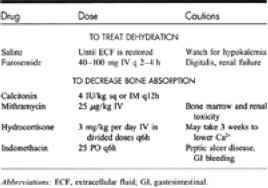 Mithramycin, calcitonin, and hydrocortisone should be used in severe cases. Mithramycin is a cytotoxic drug that suppresses bone resorption and calcium release from bone. It is infused over 3 h. It is particularly useful in patients with metastatic bone disease. Calcitonin is also an osteoclast inhibitor but less toxic than mithramycin. When used in conjunction with corticosteroids, resistance to calcitonin may be delayed. Glucocorticoids are useful in patients with sarcoidosis, vitamin A or D intoxication, multiple myeloma, leukemia, or breast cancer. They work by inhibiting bone resorption and gastrointestinal absorption of calcium. It is also postulated that they cause Ca 2+ to shift inside cells where it may become bound to mitochondria. Gallium nitrate has been approved for use in the United States. 6 It acts by decreasing the solubility of base crystals. It is administered in a dose of 200 mg/m2 added to 1 L of fluid in 24 h. It potentiates nephropathy and its use should be avoided in renal disease. Intravenous phosphates are no longer used.